A gate is a door in a fence or a wall. A gate can be made of wood or metal. 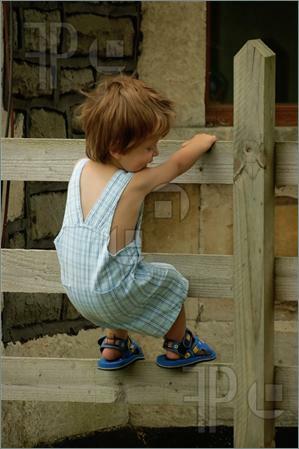 Toddler is climbing over the wooden gate.